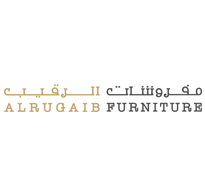 Established in 1958, Al Rugaib Furniture opened its store in the city of Al Khobar at the east coast of Saudi Arabia. Carefully selected furniture from Germany, Italy and Denmark were available to our clients at that time. In 1995, we made a leap forward and relocated to the existing 5000 sqm flagship showroom. Currently, we source furniture in both classic and modern design to our customers from the best global brands. During the last 50 years we made every effort to bring style, quality and best price to our clients. Service and customer care have been and will always be a priority to everyone at Al Rugaib Furniture.